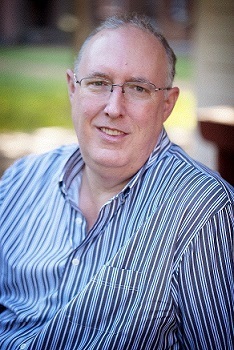 Author Tom D Wright lives in the Puget Sound area with his wife. When he’s not writing Science Fiction, he works in IT for a prominent IT company in Seattle. Tom is also privileged to serve on the board of the Cascade Writers, a writer’s conference dedicated to providing educational seminars and workshops for those interested in writing and publishing original works. Please welcome him to No Wasted Ink. I live in the stunning Pacific Northwest and support my writing obsession with a day job in the IT industry. Although I have worked in technology for a couple decades, I got my Masters degree in Counseling Psychology at Bowie State University. Since I could not afford the huge pay cut to change careers, now I just provide therapy for my characters; but like most clients, they don’t pay attention and just do whatever the hell they want. My wife and I have a cat who doesn’t listen either, and a small pack of dogs. At least the dogs listen to me. I first began writing in my teen years, and it grew out of my love of reading science fiction. Throughout my childhood I voraciously consumed all the Edgar Rice Burroughs, Andre Norton, Robert Heinlein, Anne McCaffrey, Robert Silverberg, Ursula K Le Guin and Isaac Asimov I could lay my hands on, just to name a few. While reading, I would spin up stories of my own and began trying to put them down on paper, which is always much harder than you expect. That came to an abrupt halt in High School, when an English teacher gave me a scathing response to a creative writing assignment. My creative side shut down for decades until I started challenging my self-limiting beliefs, and began writing again about ten years ago. The first few years after I resumed writing, I spent learning the craft and creating drafts that were more exercise than art. It was when I completed my first short story that I considered myself a writer, because atrocious as it was, I had an actual work of art. 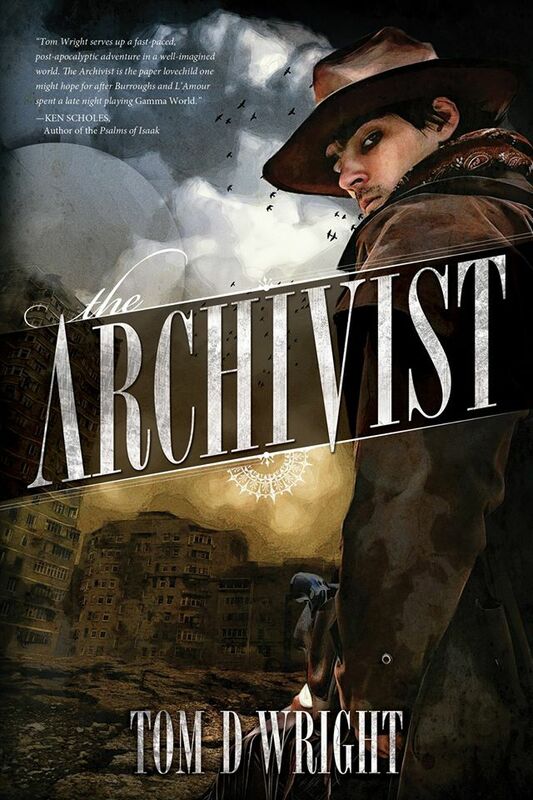 I describe The Archivist as a post-apocalyptic “Indiana Jones” type of story, so you can expect a fast-paced adventure tale, with romance, twists of misfortune and wry humor sprinkled throughout. Beyond that, it is about a man struggling to reconcile with what he has lost, and the cost he must pay to get it back. It is also the story of people trying to build lives in a broken world; one that evokes either the best or the worst in humanity—and that we all choose which path to take. The seed for the story came when I listened to Bob Seger’s song, “Turn The Page” and decided to write a story that captured that feeling of perpetually being on the road, thinking about someone left behind and constantly moving from place to place. My first opening wrestled with a character traveling from planet to planet, so I localized the setting to a post-apocalyptic Earth, thirty years after the sudden and complete collapse of all technology. But who wants yet another gloomy doomsday novel? So I drew from Thomas Cahill’s book, How The Irish Saved Civilization which makes the case that Ireland, being (relatively) isolated out in the Atlantic Ocean, escaped much of the turmoil of the Dark Ages and thereby preserved the knowledge which later fueled the Renaissance. Similarly, in The Archivist, a group called The Archives has established a base on a remote island and sends out representatives called Retrieval Archivists, to recover and retrieve the knowledge and technology which will one day spark a Second Renaissance. My writing style varies from piece to piece, depending on what the story demands. For instance, The Archivist is written in First Person Present Tense, and this is the only piece before or since which uses that particular POV. For some inexplicable reason this story demanded it, but in general I would say that my prose strikes a balance between providing enough description to bring color to the tale, while leaving room for the reader to envision it in her or his own way. The main character, K’Marr is a Retrieval Archivist and when in the field, is simply referred to as an Archivist. Many post-apocalyptic stories end with a dark outcome. While The Archivist does have some rather dark, indeed disturbing moments where I acknowledge that there is evil in the world, I also wanted to make the case that there is much good as well. And the biggest challenge that good faces, is not to give up. There are numerous anecdotal elements scattered throughout, woven into the tapestry of the story, but my lawyer tells me they are all coincidental. A few authors that particularly influenced me were Ray Bradbury with the enchanting tales he wove, Alastair MacLean with his blend of action and suspense, Robert Heinlein’s elegant use of voice and narrative, and the way Anne McCaffrey used world-building. I would have to say the late Jay Lake. During a panel at a conference, he said that if someone wanted to be truly serious about the craft of writing, you had to practice it every day. When I took his advice and started a one-hour commute (each way) to work on a train, my writing improved by quantum leaps. His advice transformed my work. The artwork was done by J. M. Martin, who is not only a prolific writer himself, but does a damn good book cover! As far as why, you would have to ask my publisher but I don’t really care because it is an amazing cover. I would give this advice to any creative person. Do not give up something that is your passion. If the demands of life force themselves upon you, as they will, put your passion on the back burner—but never take it off the stove. Never, ever ever let someone else define who you are and what you are capable of. I spent way too much of my life defined by self-limiting beliefs which I allowed others to impose on me. And always be generous—it costs little to be kind, but it costs your soul to be mean.